Kentucky Gov. 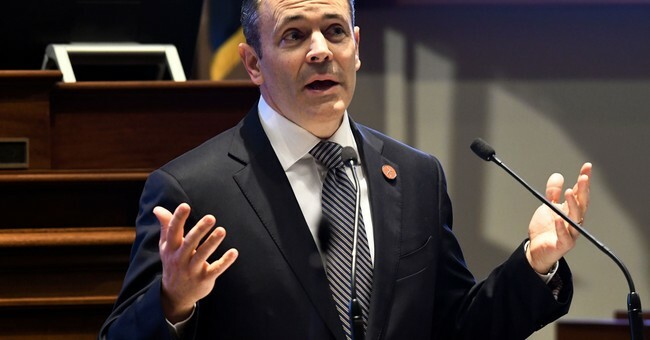 Matt Bevin (R) signed a bill Tuesday that bans abortion based on the unborn child’s gender, race, or the prenatal diagnosis of a disability such as Down syndrome. The legislation is already facing a lawsuit from the American Civil Liberties Union (ACLU). The ACLU filed a motion attempting to block the legislation on Thursday and requested that the judge order Gov. Bevin to notify the court immediately following his signing of the bill. “We are simply asking for notice so that we know, and our clients are on notice, of any potential criminal penalties, and we can ask the court to enjoin the law as appropriate,” Amy Cubbage, an attorney for the ACLU, said. However, Bevin decided to give the organization a civics refresher in a series of tweets Friday regarding their lawsuit. He highlighted a “Schoolhouse Rock” segment about how bills become law. “House bill number five simply says that in Kentucky we think it’s inappropriate to kill an unborn child simply because of its race or of the child’s gender or of a perceived disability but too much to ask for the folks at the ACLU,” he emphasized. He accused the ACLU of disregarding the wishes of the people of Kentucky and trying to push their ideology. In their lawsuit, the ACLU argued that the Kentucky law threatens a woman’s abortion access if the state “disapproves of her reason.” The ACLU filed the suit for EMW Women’s Surgical Center, the last abortion clinic in the state. Bevin’s legal team replied that the ACLU’s argument was a “perverse distortion” of Roe v. Wade. States across the country are considering laws banning abortions that are chosen due to a prenatal diagnosis of Down syndrome, particularly since the majority of unborn children with the condition are aborted in many countries around the world. A recent CBS report found a near 100 percent abortion rate for those diagnosed with the condition in Iceland. Denmark has a 98 percent abortion rate following screening and diagnosis of the condition and in France the number is 77 percent. The United States has an estimated abortion rate of 67 percent (1995-2011) for unborn babies diagnosed with Down syndrome. The Supreme Court was asked last year to consider an Indiana law that is similar to the one in Kentucky and could weigh in on that in the near future.